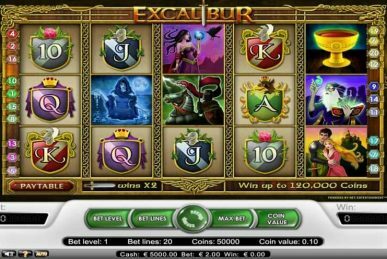 One of Microgaming’s most popular slots, Mega Moolah also happens to be their highest-paying game…see a correlation there? 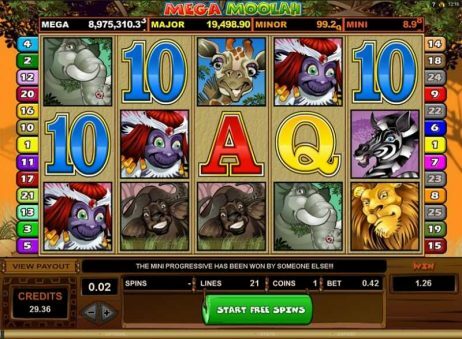 As a result, Mega Moolah can claim to be one of the most played progressive jackpot slots of all time and it is still going strong after nearly 8 years in the industry. With an enjoyable African safari theme and plenty of big wins to play for, this is a slot that is an instant hit with anyone who plays it. 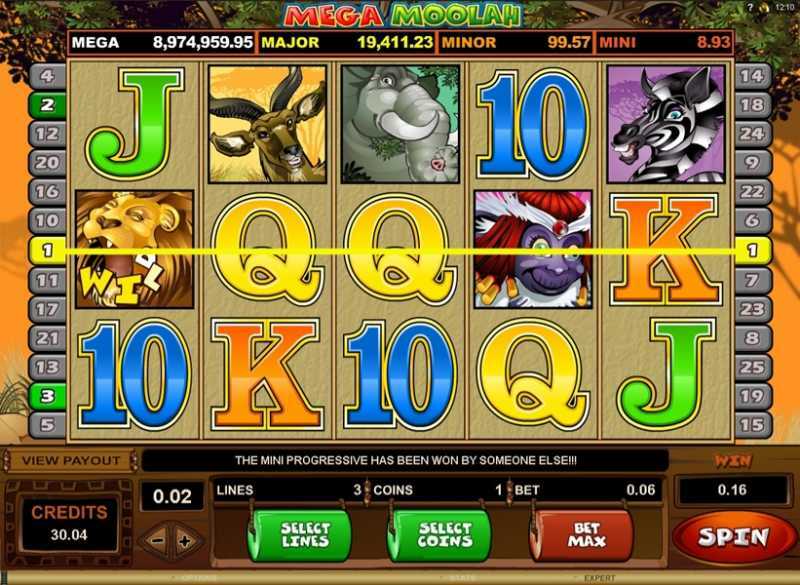 The slot’s Lion symbol acts as both a high paying symbol and the wild. 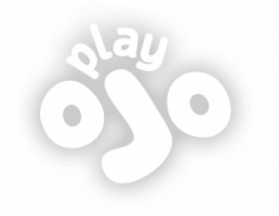 When it substitutes another symbol it doubles the player’s winnings. The wild can substitute any other symbol, except for the scatter symbol. 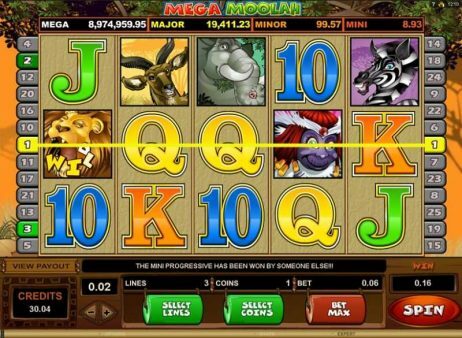 Mega Moolah offers four progressive jackpots that are triggered randomly, and the higher a player’s stake, the greater the chance of winning a bigger jackpot. 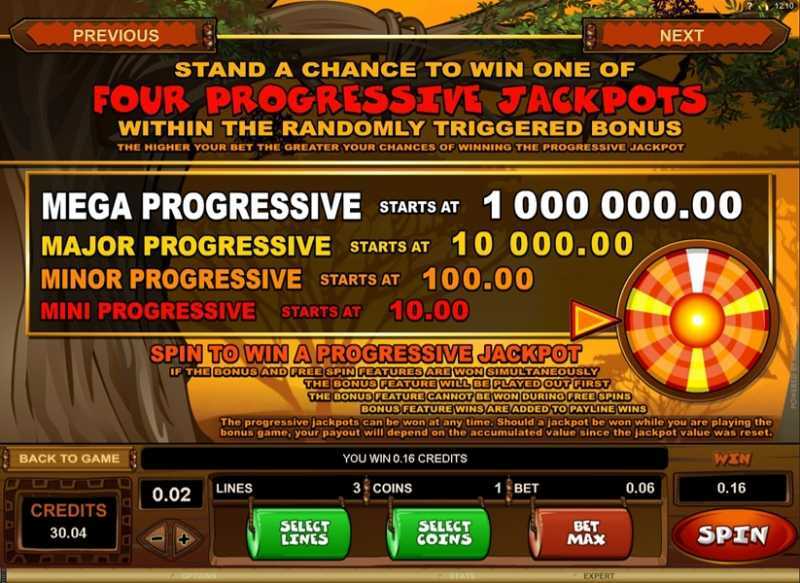 The progressive jackpot round begins by the player spinning a mystery wheel that is covered in the four different jackpot symbols. 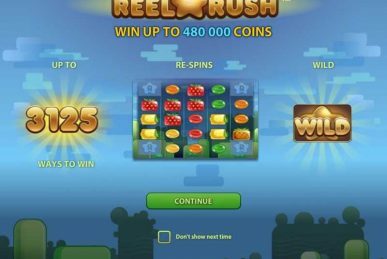 Wherever the arrow lands reveals the winning amount. 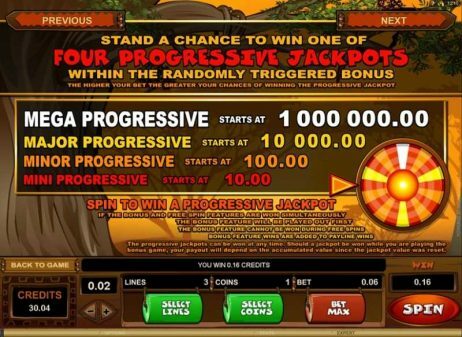 A player doesn’t have to wait on the randomly occuring progressive round to win big, the standard jackpot is worth 75,000 coins. 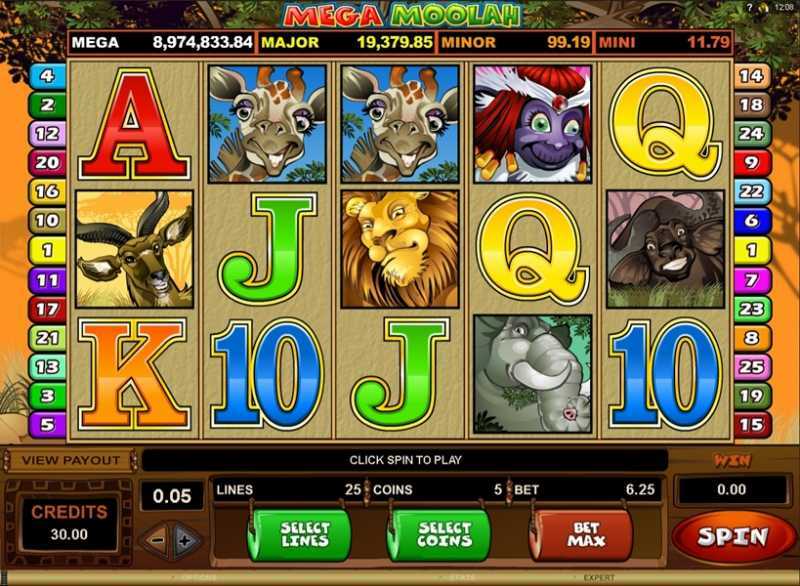 The most enticing aspect of the Mega Moolah slot is the huge jackpots and players don’t have to be wagering large amounts to be in with a chance of winning big. 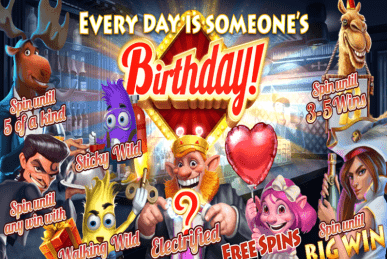 The progressive slots and above average graphics make this a slot players will love.